Your Thank You notes are much, much more important than you give them credit for. 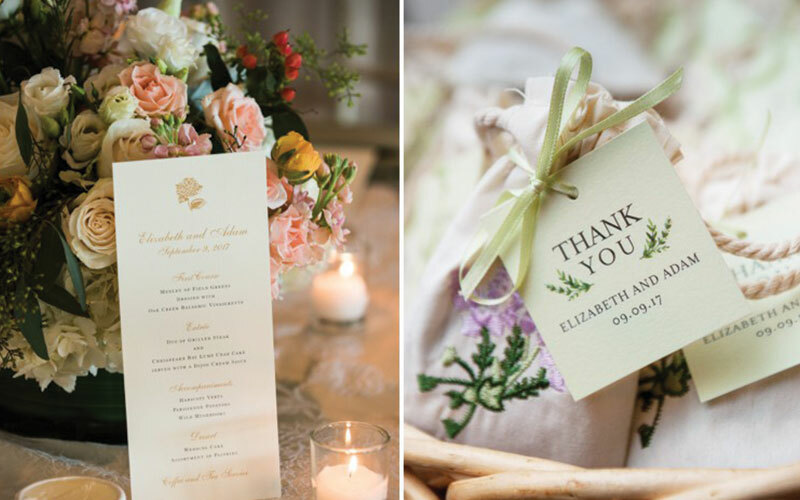 Although wedding etiquette has changed a lot in the last couple of decades, the absolute truth is that you still need to follow some rules – and Thank You notes are among them. After all, your guests spent their time and money to be with you as you tie the knot – so it is only natural that you show them your gratitude for their gesture. What are some of the most unique and beautiful Thank You card ideas to use? We have gathered some tips to inspire you – so read on and find out more. Take a photo with your wedding party. They’ve been by your side throughout the wedding planning and they are part of the wedding “VIP crew” – so why not include them in one large, beautiful picture? Have them hold out the letters to “Thank You” and ask the photographer to capture you all in a fun pose. Guests will definitely smile seeing this! Do it in front of the rustic barn. If you plan on having a rustic chic wedding, hang out a cute wedding sign saying “Thank You” in front of the barn. People will love the memory of this casual, outdoor wedding you planned! Write it on a chalkboard. With chalkboards being so popular as wedding décor, it would be a very good idea to use one for your Thank You cards as well. Just write down your Thank You, hold up the chalkboard, and ask the photographer to capture this. Lovely! Looking for a very special wedding venue? Contact The Oaks! Our waterfront wedding venue is here to provide you with a truly magical spot for your Big Day. Contact us and schedule your private tour!